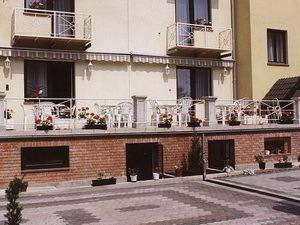 Kecskemét hotels. 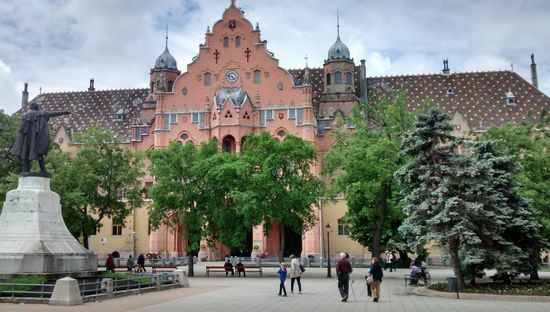 Travel guide of Kecskemét, Hungary. Hungarians associate KECSKEMET with barackpálinka (the local apricot brandy) and the composer Zoltan Kodály (who was born in what is now the train station), but its cultural significance doesn't end there. The town centre boasts some of the finest architecture on the Plain, while its film studio 'and festivals impart a metropolitan pizzazz. 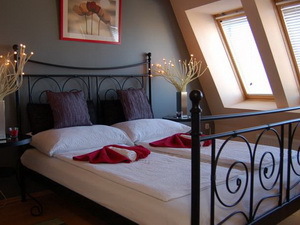 Given this sophistication, you would never imagine that its name derives from the Hungarian word for "goat" (kecske). 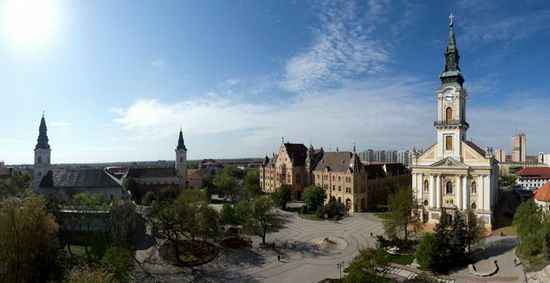 Although nothing remains of medieval Kecskemét, its size can be judged from the ring boulevard, which follows the old moat. Unlike most towns in the region, it was spared devastation by the Turks, as the Sultan took a liking to it. 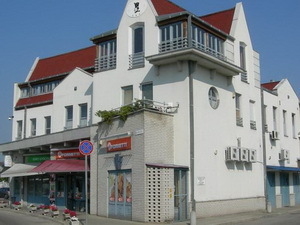 Waves of refugees settled here, and Kecskemét became the third largest town in Hungary. 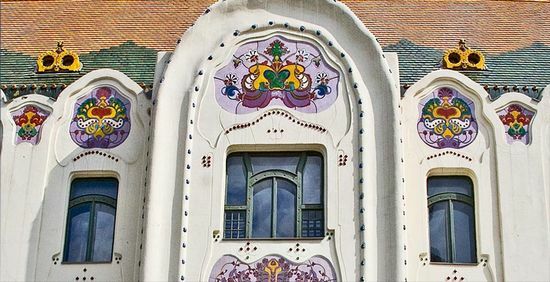 This fortunate history, underpinned by agricultural wealth, explains its air of confidence and the flamboyant, eclectic architecture, skilfully integrated with modern buildings by József Kerény. Heading south into the town centre, on the northern side of Szabadság tér is the Cifra Palace, resembling a set from Hansel and Gretel on acid, ceramic mushrooms sprouting from psychedelic tiles above a gingerbread facade. 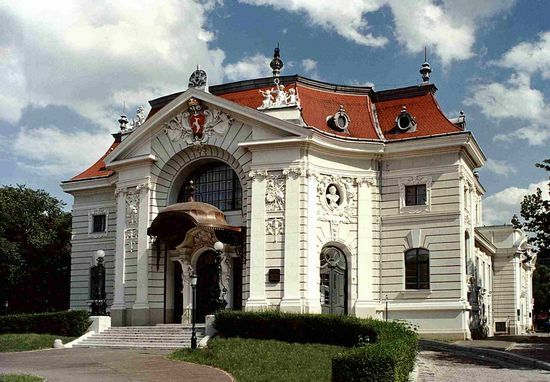 Designed by Géza Markus in 1902, this wonderful example of Art Nouveau (termed the "Secessionist style" in Hungary) now houses the Kecskemét Art Gallery. 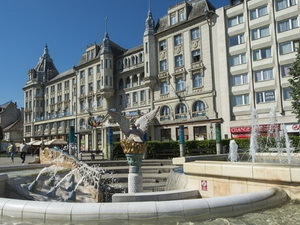 The Transylvanian-Gothic hulk diagonally opposite the Cifra Palace is one of two buildings in Kecskemét in the style known as National Romanticism. 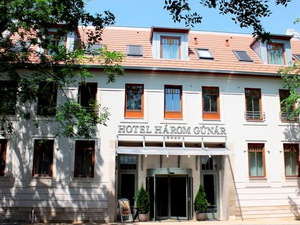 Built between 1911 and 1913 as a Calvinist college, this one is a "mature" example of the genre that coincided with Hungary's millennial anniversary and campaigns to "Magyarize" ethnic minorities, reflecting the triumphalist yet paranoid zeitgeist of the 1890s and 1900s. 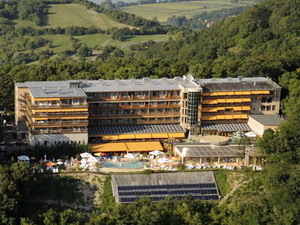 Its steeply pitched roofs and intimidating tower hark back to the vernacular architecture of rural Hungary and Transylvania, regarded as pure wellsprings of Magyar culture. 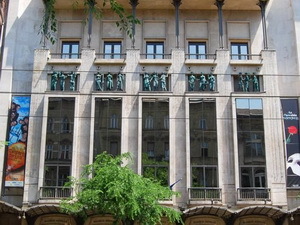 It now houses a library and Collection of Ecclesiastical Art, the entrance is on Villám utca. To the south, across Kossuth tér, is the building that started the whole National Romanticism movement: the Town Hall of Kecskemet designed by Ödön Lechner and Gyula Pártos in 1893. 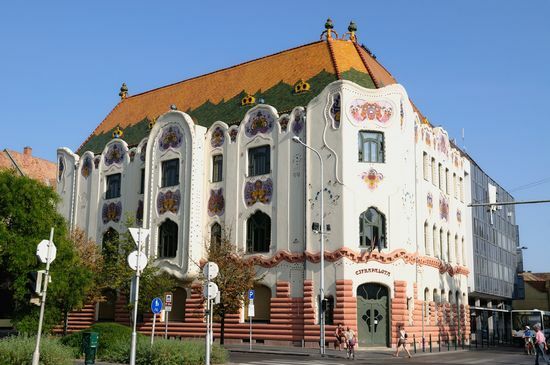 Like Lechner's later works in Budapest, it is richly ornamented with Zsolnay tiles inspired by the decorative traditions of Magyar folk art and nomadic Turkic cultures. 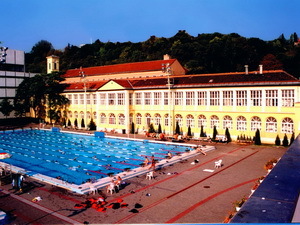 However, the building itself is a Renaissance-Baroque pastiche whose lack of "authentic form" was criticized by later National Romanticists such as Károly Kós. Its Grand Hall contains gilded murals by Bertalan Székely, who decorated the interior of the Mátyás Church in Budapest. The bells outside play snatches of Kodaly, Handel, Beethoven, Mozart and Erkel at regular intervals. With five churches in the vicinity you can afford to be selective; the three most interesting are on Kossuth tér. Next to the town hall stands the so-called Old Church, which is Catholic and Baroque. 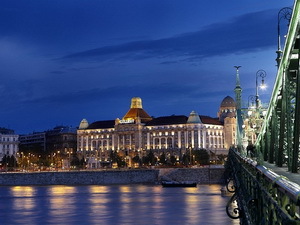 Designed by Oswald Gáspár, an eighteenth century Pianist father, its facade is decorated with relieves commemorating the Seventh Wilhem Hussars and local heroes of the War of Independence. 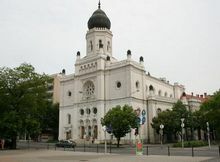 The Calvinist Church, behind Pusztatourist, was founded in 1683 and enlarged in the 1790s, when its "Red Tower" was added. Its meeting hall contains frescoes similar to those in the town hall. The Franciscan Church to the east is really the oldest one, but Baroque restoration has obscured its medieval features. 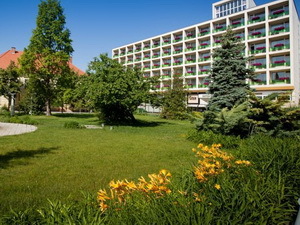 Around the corner on Kéttemplom köz (Two Churches Lane) stands the former Franciscan monastery, which now houses the Kodály Institute. Of the surprisingly large number of museums in Kecskemét, the Photography Museum is one of the most interesting, with a massive collection of cameras and photos and a room with excellent temporary exhibits. Situated just behind the grand Katona Theatre, the building was originally established as a dance hall, but was converted to a synagogue in 1918. Four decades later it was sold off by the decimated Jewish community, since when it has been restored and turned into a museum. On Bánk utca nearby, the Modern History Museum reveals how much the town has changed since the nineteenth century. 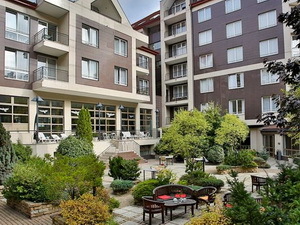 SEE KECSKEMÉT HOTELS ON THE MAP! 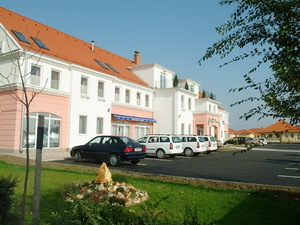 3-star hotel in Kecskemét, 80 kms from Budapest. 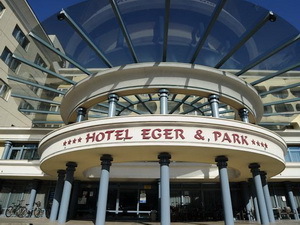 4-star hotel in Kecskemét, 80 kms from Budapest. 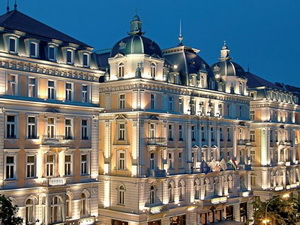 Corinthia Hotel Budapest - Offering a higher level of luxury, the Corinthia Grand Hotel is more than a hotel it is: A LEGEND REBORN.